Hellmann's® Creamy Style French delivers erfectly balanced flavour, makes this classic French a popular favorite. 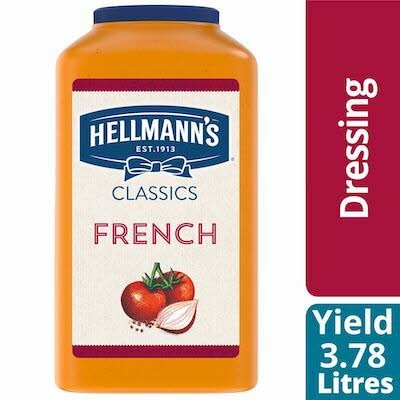 Hellmann's® Creamy French Dressing is made with real tomatoes, no artifical colors, no artificial flavors and is Gluten-Free. The Hellmann's® brand is recognized throughout the world for unrivaled quality and flavor and its commitment to real, simple ingredients, like real tomatoes. Hellmann's® Creamy Style French is great with green salads, sandwiches, as a marinade and more.